This 6 lane, 25m swimming pool is perfect for low impact exercise, swimming lessons or simply cooling down in beautiful crystal clear waters. The multi-purpose pool is the ideal destination for a cardio workout, muscle toning or to recharge those aching muscles, and accomodates customers with different needs. 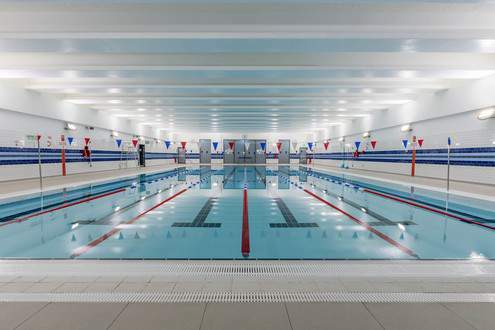 The kids will especially love splashing in the shallow end, whilst more experienced swimmers can stick to the deeper end which comes in at 1.6 metres. Our stylish gym will have more than 100 stations including a free weights area and dedicated functional training space. 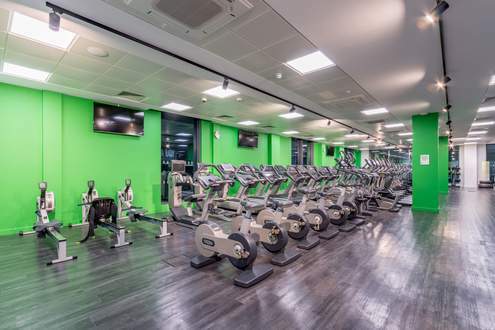 The state-of-the-art Technogym equipment has in-built monitors on all cardo pieces with music, tv programmes and iPhone/iPod connectivity. Our team of Better Fitness Instructors will provide you with an induction when you first join, and will tailor a fitness programme to your needs to start you off. Then every 6 weeks, you can book a free re-focus session to chat about your progress, and get a new set of exercises to keep your programme fresh and motivating. Our 16 bike Group Cycle Studio overlooking the gym floor, is positioned to be a showcase of the centre. Fitted with disco lighting, Group Cycle classes will become a big feature of the fitness classes programme, run by our friendly and motivating instructors. 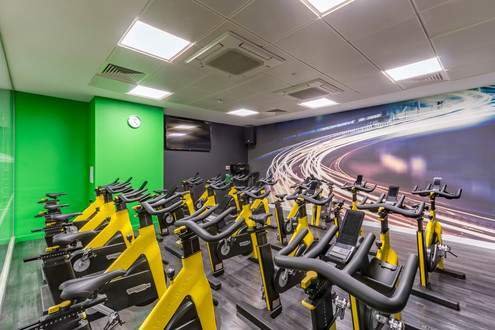 Instructors will be able to monitor your output via a plug in on each bike, which will track your progress as you challenge yourself through each class, helping you to work harder to be faster, stronger and better. 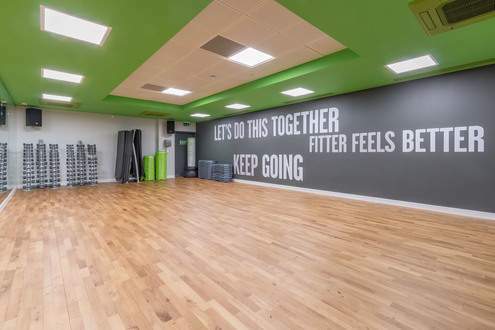 The centre will boast a modern and bright fitness classes studio offering an exciting range of classes to help challenge and motivate you to achieve your goals. The class programme will be designed to suit all levels, from beginners to more advanced. With small classes sizes, you'll enjoy a more personal, intimate setting, whilst still enjoying the fun and teamwork that comes with taking part in a group session. Our Sauna and Steam Room is great place to unwind post-workout. Helping relieve the body of stress, it can also relax the body and mind by increasing blood flow, in addition to assisting with weight loss and skin cleansing. So if you’re looking to relax, or enjoy the health related benefits, head to the Health Suite today.